The industrial computer B7365 consists of two main parts - 17" display enclosed in anti-vandal industrial housing DP73 and industrial chassis DW65 both have been put together as a single unit. The DW65 chassis is able to fit any Mini-ITX form-factor motherboard, 3,5" HDD and up to two expansion cards using riser card. 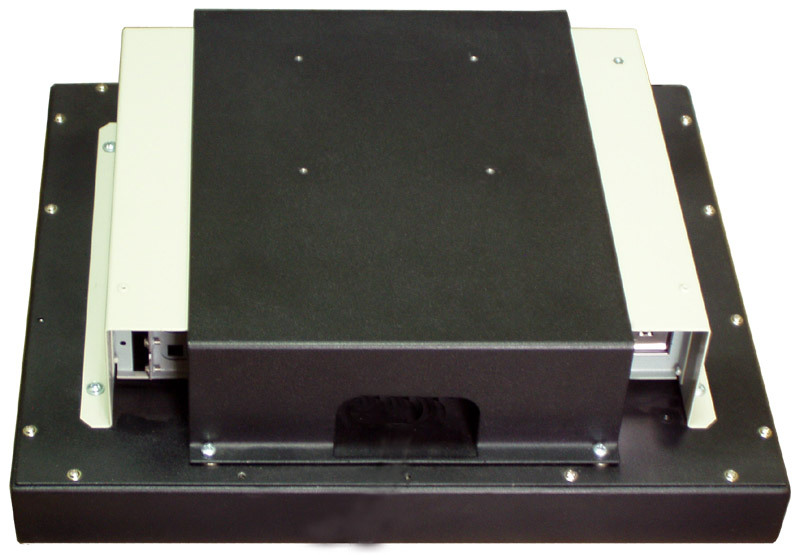 More detailed information about DW65 chassis you can get following this link>>>. 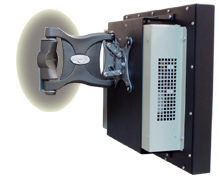 The screen of display is protected by triplex. 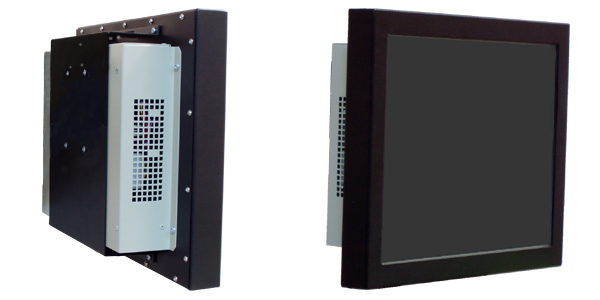 The display housing DP73 provides impermeability and has IP66 protection level i.e. provides tight protection against dust and keeps out powerful water jets. 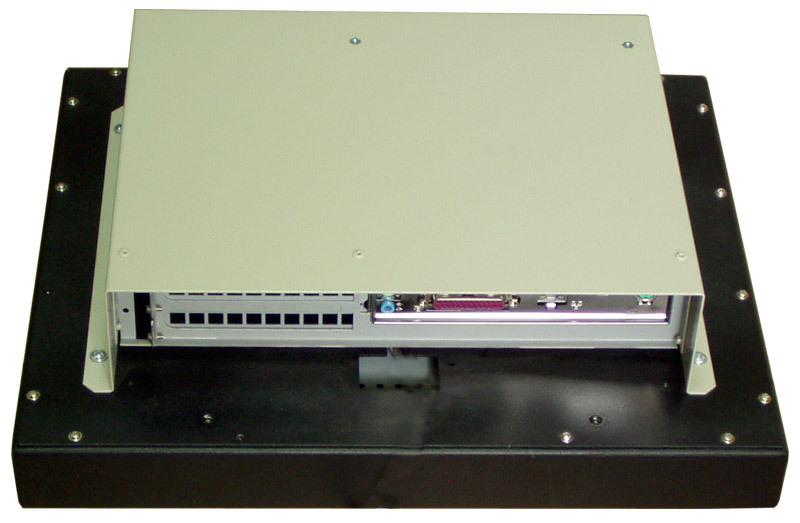 The DW65 chassis does not provide impermeability of whole device therefore the industrial computer B7365 has IP66 protection level only for front panel. If you need dustproof and waterproof device direct at the B7364. 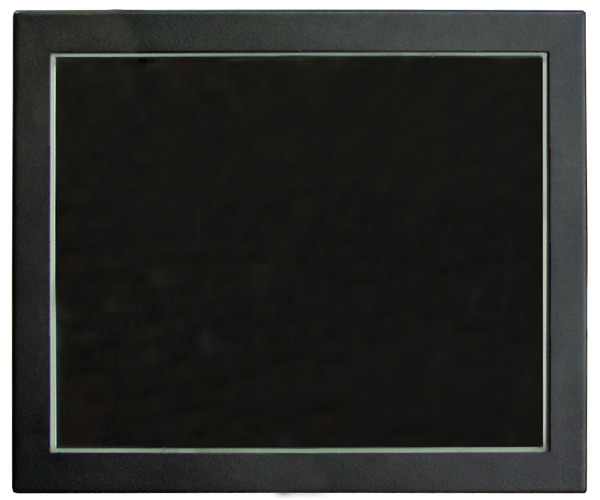 17" (43.1cm) flat TFT screen that has been armoured by extra glass (silicon-triplex) in waterproof anti-vandal housing. - power supply 12V (or 100~240VAC using AC-DC adapter, wich is the part of the B7365). There are 4 screw holes with M4 thread on the back bracket of the B7365. 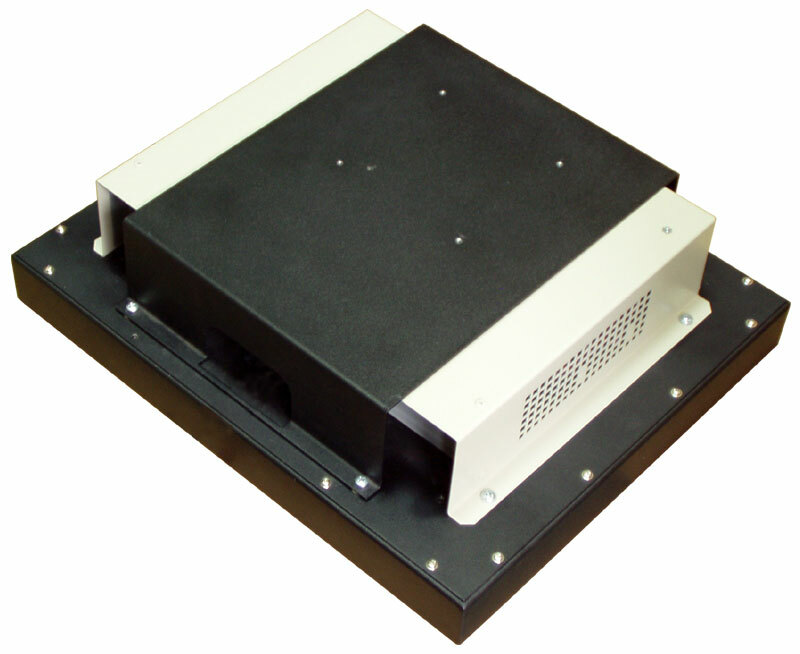 These mounting holes allow mounting according to VESA100 standard. The computer can be attached to a wall/column/beam directly or using special (a multy-link articulated arm) device that has to be complied with VESA100 standard (as shown on the left picture). The B7365 computer is not supplied with such device. You have to buy such device as a separate part. Leave airflows outside the B7365 free for cooling. Keep the B7365 computer away from a heat source and don't make high density placement of the B7365 within limited space to avoid overheating.